It's hard to argue that Canadian Content rules have not resulted in a tidal wave of great home grown acts. However, it took decades of us having to listen to subpar bands that got much more notoriety and acclaim than they deserved simply because the radio had to play something. 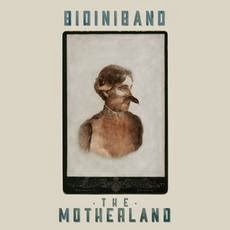 On a completely separate note (tongue planted firmly in cheek), May 27th will see the release of The Motherland, the new album from Bidiniband, the project from former Rheostatics frontman Dave Bidini. In a lot of ways, The Motherland is much like a Rheostatics record. Songs like "The Grey Wave" and "The Fatherland" click past without you giving them a second thought. When you do strain to keep paying attention, you discover (to no one's surprise really) that they are trumpeting a goofball political agenda that's fighting battles from an outdated 1980s champagne socialist, cynically fake populist perspective (see Cash, Andrew). I can look beyond and accept the point of view, if it's dressed up in an appealing package. Canadian bands like Rah Rah and Library Voices have done that recently. It's something that simply doesn't happen here. Even the strongest tracks have something that ends up tainting them. "(The Return of) Fat" begins as an enjoyably twangy tune that shows a good sense of humour...that is, until it breaks down into a bizarre meandering conclusion. It sounds like the band are running through a Camper Van Beethoven song during soundcheck on "Hey Jesus". A decent hook in "All Hail Canada" is tarnished by ham-fisted and misguided political commentary. One notable exception to all of this is "Ladies of Montreal". The track is slick, fun, and infectious. More of this would be welcome. The Motherland will make you yearn for the best thing The Rheostatics ever did- this. Bidiniband play TURF at Fort York on July 6th. Best tracks: "Ladies of Montreal", "Hey Jesus"